The 7th Training meets over a 3 1/2 year period, for 5 days each June and 3 days each February. It includes four private lessons per year, group work and choir. 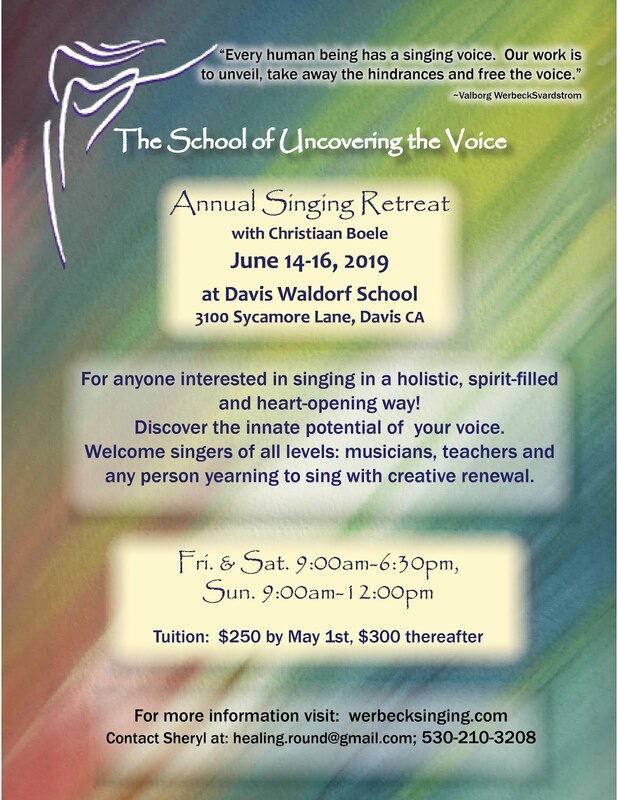 This advanced course is offered to those with previous study of Uncovering the Voice (such as attendance at an Open Course and/or private lessons with Christiaan). In this work, the process of singing is viewed holistically, with the aim of the natural opening and balancing of the voice. The singer is invited to move with confidence and joy towards discovering his or her own voice within the group and in private lessons. It is a gentle process and the voice is never pushed, but gently liberated through engagement and active participation. A wide range of specific singing exercises will be developed together with a comprehensive study of Werbeck's book. 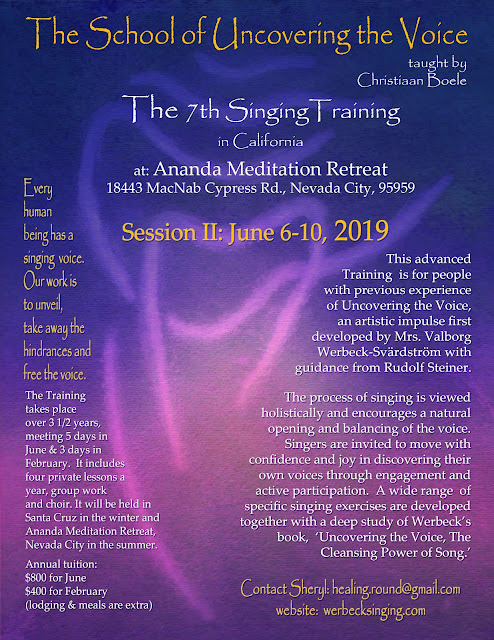 Christiaan has been teaching the singing training for twenty-one years in CA and this may be the last advanced training that he offers in California. If you have been considering this for awhile but putting it off until the future, Now is the Time. Please write a paragraph about why you would like to participate in the Training and email it to Sheryl at: healing.round@gmail.com. Upon acceptance into the Training, you will receive registration information.